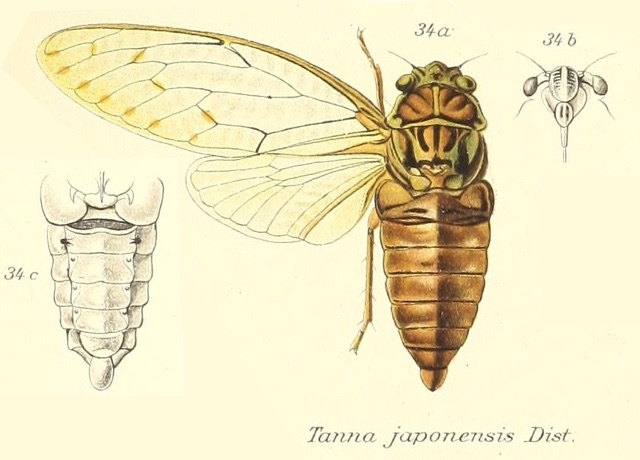 Tanna japonensis japonensis (Distant, 1892) is a cicada found in Japan. There is another subspecies without a subspecies name (see below). Characters. — Head (including eyes) narrower than base of mesonotum and about as long as space between eyes; lateral margins of pronotum angularly sinuate, but not prominently toothed ; abdomen much longer than space between apex of head and base of cruciform elevation; tympana covered ; opercula small, not or scarcely extending beyond base of abdomen; rostrum reaching the posterior coxae; tegmina and wings hyaline. 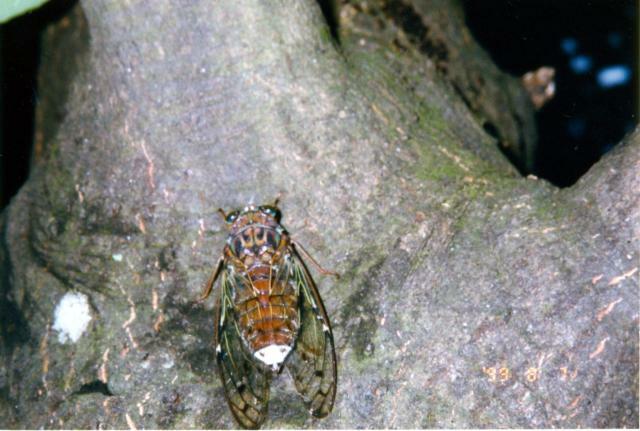 Closely allied to Leptopsaltria, from which it differs by only having a lateral tubercle on the second and not on the third ventral segment, in other respects resembling the genus Pomponia.